Are you familiar with the Letter Templates feature in Amp? 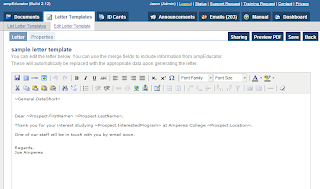 It's a great feature which allows you to customize a form letter for a prospect or student. 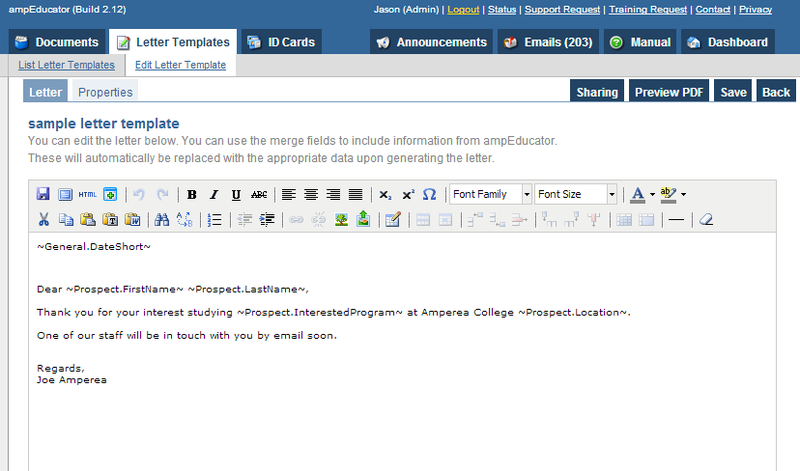 You can use letter templates to send mass emails, email auto-replies, make a Letter of Acceptance, and much more! You can begin setting up a new letter template now by going to Documents > Letter Templates > Add Letter Templates, make your choices, then "Add Letter"... and you'll be taken to our rich text editor to start plugging away at your new letter template. Need help? That's what we're here for! Contact us anytime.